With projects like Jon Favreau’s Gnomes & Goblins, Madison Wells Media is using state-of-the-art toys to dream bigger. A few years ago, movie producer Gigi Pritzker was at the Sundance Film Festival when she stumbled upon the New Frontier exhibition, which showcases new and transmedia art–naturally, much of the exhibition focuses on virtual reality. The experience got Pritzker, whose family empire is behind the Hyatt hotel chain and the Pritzker Architecture Prize, seriously thinking about VR and how she could incorporate it into her work as a film and live theater producer. Pritzker’s OddLot Entertainment company is behind such indie films as The Way, Way Back and Rabbit Hole, as well as the sci-fi tentpole Ender’s Game and the critically-acclaimed Hell or High Water. And her company Relevant Theatricals produced the Tony Award-winning Broadway musical Million Dollar Quartet. When he got talking to Pritzker, a vision–and a company–was born. The duo recently launched Madison Wells Media with the desire to create films, theater productions, and, yes, VR experiences under one umbrella, with the intent to cross-pollinate properties across the platforms in order to “expand on and grow the IP that’s born in any one of those units,” Kisker says. In other words, to eschew the typical Hollywood route of building up a movie franchise, say, by simply pumping out more sequels, and to create rich, sibling properties with their own unique sets of characteristics. Already, the process is being set in motion. Million Dollar Quartet has become an eight-part series on Country Music Television. 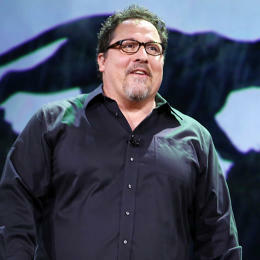 Jon Favreau has become a master of crowd-pleasing, “four quadrant” films to the point where Pixar seems like a peer. Here’s how he does it. The company–which is named after the corner of Madison and Wells Streets in Chicago, where Pritzker’s great-grandfather starting selling newspapers when he was 12–has set up business partnerships and investments to further this endeavor. One investment is with Atom Tickets, the movie ticket-buying app that provides detailed data on moviegoers’ viewing and purchasing behavior; another is with the Void, the location-based VR company. And Madison Wells is a partner with the independent movie studio STX Entertainment. And then there’s the deal with Sony Pictures to work with the studio’s VR content division on non-promotional VR and AR experiences. Under the agreement, Madison Wells’s VR division, Reality One, is Sony’s exclusive partner on VR episodes, shorts, games–whatever they may be–that are related to Sony movies. The two companies will also produce and finance VR content based on original IP. Those that are related to films will be produced independently as opposed to being promotional offshoots. The hope is to create original, stand-alone pieces so that, when someone “puts this experience on, in the first minute, they’ve never seen anything like it before,” Kisker says. This is certainly true of Reality One’s first project so far, Gnomes & Goblins, a room-scale VR experience created by Jon Favreau. A preview launched earlier this month on the Steam, Viveport, and Wevr Transport platforms for use with the HTV Vive VR headset (it is eventually Oculus-bound). The idea for Gnomes & Goblins was born while Favreau was in postproduction on The Jungle Book and his animation director, Andy Jones, brought the director over to Wevr, the Venice-based VR company, to check out theBlue. Wevr’s acclaimed, HTV Vive experience takes the viewer to a coral reef deep below the sea; a surreal jolt comes when a whale swims by. At this point, there are no plans to turn Gnomes & Goblins into a movie or any other medium–but that’s fine, too. Kisker says he wants to be mindful not to migrate properties onto new platforms just for the sake of doing it, pointing out that there are many examples of games, books, etc. that are not meant to be turned into films or TV shows. Favreau seconded this, saying he was building his game “to optimize this particular medium. If I want to do a movie, I’ll take it from that direction. It’s a lot easier for me to say, ‘I want to make a movie about goblins.’ That seems to be in line with what audiences like. Above all else, the company is trying to push the boundaries when it comes to marrying content and technology. Its partnership with the Void gives it expertise and insight into a growing phenomenon: VR experiences that take place not in the privacy of your living room, but in a public space. The company was behind the Ghostbusters: Dimension VR installation in Times Square. Any by teaming with Atom Tickets, it is able to have access to data and analytics that can help the company customize its marketing and outreach. Related Video: Will VR Go Mainstream?